Rogue River, OR (March 30, 2017) – Wagner Meters’ flooring division today announced a deep price reduction for a limited time on the retail purchase price of its DataMaster™ app. 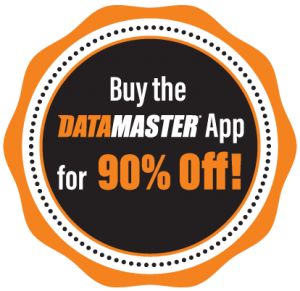 Right now, customers can purchase the DataMaster™ app for only $9.99 – a savings of 90% off the regular price. The DataMaster™ app is designed to quickly and seamlessly read, record, and report data from either the Rapid RH® 4.0 single use or the 5.0 reusable concrete moisture sensors using the new Rapid RH® Bluetooth® Smart Reader. The app can be downloaded onto either an iOS or Android device. “Our latest DataMaster™ app is easy to use and comes in a highly intuitive package with several important features,” says Jason Spangler, Wagner Meters’ Flooring Division Manager. “For example, we included an ‘Annotation’ screen that takes advantage of your phone’s other functions. Through the ‘Annotation’ screen, you can attach photos or audio memos, as well as text notes,” he adds. The app can also store essential information about each job site and sensor, including service temperature, target relative humidity (RH), slab thickness, water-to-cement mix ratio, and much more. When the app is paired with the Rapid RH® Bluetooth® Smart Reader, it’s easy to collect data from either the Rapid RH® 4.0 EX or 5.0 sensors. The Bluetooth® Smart Reader is about the size of a USB flash drive, and with a simple touch to each Rapid RH® sensor, data is sent wirelessly to your Android or iOS device. The Rapid RH® System utilizes the scientifically proven in situ relative humidity method for measuring moisture in concrete slabs. It is fully compliant with ASTM F2170 and significantly improves the ability to monitor the drying process of new and existing concrete slabs without adding substantial cost to the project. It’s extremely fast, accurate, and easy-to-use. 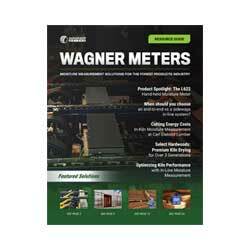 Wagner Meters manufactures technologically advanced wood and concrete moisture measurement devices and moisture measurement systems for flooring professionals worldwide.